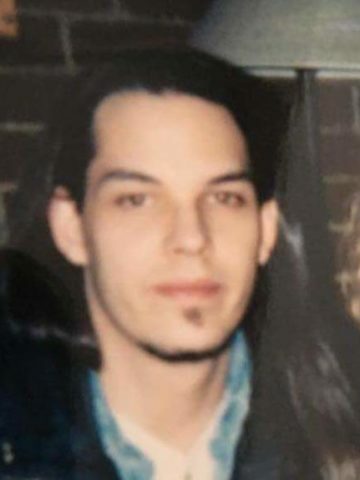 Travis Wayne Baggett, of Cross Plains, TN, passed away October 2, 2018 at age 46. He was preceded in death by his father, Johnny Baggett. Survived by his mother, Connie Allen; wife, Ericka Saunders; children, Cristopher McGrane and Vivian Carver; grandchildren, Leah and Rauri McGrane, along with many extended family and friends. Travis was raised in Cross Plains, where he graduated from East Robertson High School class of 1990. He attended Volunteer State Community College, and pursued his passion for graphic design. He was the owner and operator of Travis Designs. When he wasn’t working, he enjoyed woodworking and fishing. He loved people, and loved to make them laugh. He was a man of great integrity, and will be remembered for his caring and giving spirit. Visitation will be at Cole & Garrett Funeral Home, White House Saturday October 6 from 12-2pm, with a celebration of life service to follow at 2pm. Travis will then be taken to Breckenridge Texas for interment. For those desiring, memorial contributions in lieu of flowers may be made to Vanderbilt Children’s Hospital. This is all so sudden and unexpected. We grieve with you over the loss of such a special person. Travis was such a kind, generous, and loving man, and we will miss him forever. He faced and overcame great trials, and pains in his much too short life, and we admire his strength and humility through it all. We are heartbroken over his passing. I never met Travis but I felt like I knew him through your love for him. My heart goes out to you Connie and the family. Such a great loss. Connie, so sorry to hear about Travis. Julia and I will keep you and the family in our prayers. Connie, No words can adequately express what you and his family are feeling. I’m sure, being your son, he was an awesome man! Please look for comfort in your memories. You and family are in my prayers and heart. You are very loved my sweet friend. You are stronger then you realize. Take care of yourself in this stressful time. Connie, our hearts are broken with you. I have sweet memories of Travis as a baby and the joy he brought. Our prayers are with you. So sorry for your loss! Travis lived down the road from me in Cross Plains and was always a wonderful person to be around. Connie, I only met Travis that one time and yet I could see how wonderful he was. He was easy and smart and funny. I felt like I knew him. There are not words to comfort for you and the family and all his friends. Just know that you are loved and are in my heart and thoughts constantly. I love you my dear friend. Hi Connie I am so sorry for your loss. My prayers are with you and your family. Heaven has gained another angel. Sincere condolences Connie. Gone way too soon. I know I haven’t been in touch at all, but very sorry to hear this. My thoughts and prayers are with you. My heart and prayers are with you. I remember Travis when he was a young boy. He was sweet and loved you dearly. God Bless him and his family. He will not be forgotten. Connie again I am so sorry for your loss. Such a handsome young man. Losing my son 2 years ago in a motorcycle accident just 10 hours after he left my home crushed me!! It has been a long hard road and will continue to be. Sweet lady please if there is anything I can do please please don’t hesitate to contact me!!! Hugs and prayers for you and your family. I’m so sorry. I also was a dj at WVCP with Travis. I always thought he said racks of wax and wax in stacks. (referring to records).